Since the beginning of the craft of storytelling, fictional situations have been used to describe subjects that were forbidden, too sensitive for plain talk, extremely complex, or buried in boring detail. To explain the message, the story has to capture the audience with suspense, mystery, intrigue, romance, and exciting action by attractive characters. The listeners can imagine themselves acting out some of the story. The author works to develop a captivating story that people will want to read and talk about. That is my top priority. But I also want these stories to give the readers a deeper understanding of issues that may invade their world. My first novel, Justice Beyond Law, shows how a renegade KGB officer uses an abandoned network of KGB agents that was infiltrated into America years ago. The methods, Yuri, the renegade KGB officer, uses to turn his network into a profit-making enterprise and to manage his diverse network with agents of different skills is more than plausible. The methods he uses strain the traditional law-and-order approach to terrorism. The second novel, Justice Without Mercy, shows the process an extremist Muslim group like al-Qaeda might use to set up a series of terrorist acts in America to weaken the resolve of the people and lessen their trust in government to protect them. The plot in this novel is more probable than most people believe. Traditional law-and-order process is not capable of dealing with the fast-moving action of terrorism in the homeland. The law-and-order process pushed by the Obama administration, particularly by the attorney general, is more political than an effective counter-terrorist approach. There is a war brought by Islamic jihadists against us. It needs to be fought with a similar approach. Foreign jihadists don’t qualify for the protections of our constitution. The third Brandon novel, Shades of Justice, deals with human trafficking that can be a profit-making business both for terrorist organizations and criminals. Readers of this novel will see how simple it is to set up a human trafficking business in nearly any large city. They will also come away with an understanding of how the traffickers operate their business from the spotting and selection of targets to the capture, movement, holding and marketing of the victims. The ‘good guys and gals’ in this novel understand and attack all aspects of the human trafficking process. As you read this, note the challenge human trafficking poses to traditional law-and-order forces. 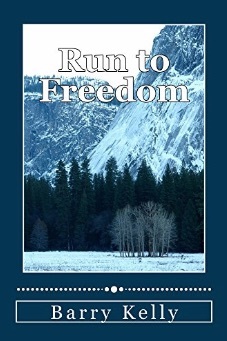 The fourth Brandon novel, Run to Freedom, is the prequel to the Jack Brandon adventure series. In this story I rely heavily upon my knowledge of the old USSR and its KGB intelligence apparatus. The story starts in 1920 in Siberia, with a little-known deployment of American troops just as WWI was wrapping up. In this novel the readers will travel from Russia, to Poland, to Canada and several cities in America as Peter Brandon, Jack’s father, tries to escape the KGB in America. The forces the KGB deploys in America to capture or kill Peter were and are entirely within the capabilities of Russian intelligence in 1970s America, as are the methods Peter uses to escape the dragnet. The fifth novel, ISIS Quiet Justice, is to my knowledge the first novel using ISIS attacks in America as the central plot. The story shows the difficulty law-and-order forces have in fighting terrorism. Jack Brandon is back in the nick of time! Follow Jack and his growing team as they join with the CIA to take down ISIS terrorists in Jacksonville, Florida; Minneapolis; Charleston, South Carolina; and on the terrorists’ own turf in Fallujah. This latest adventure in the Jack Brandon series pits Jack’s wits against those of a terrorist known as The Fist of Islam, who has been converting U.S. citizens into warriors for Islam. Can Jack’s knowledge, planning, and execution skills save the day — and the nation — once again? All of the Jack Brandon novels have been reviewed by the CIA to prevent the disclosure of classified information. 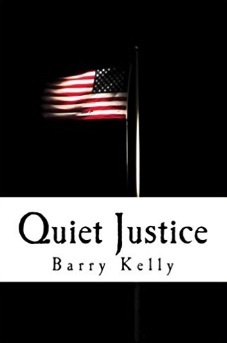 ISIS Quiet Justice is available on Amazon now as a paperback or an ebook, as are the rest of the Jack Brandon novels. The first three are available as a trilogy. Let me know what you think of this one.